I guess my preventative maintenance has paid off! 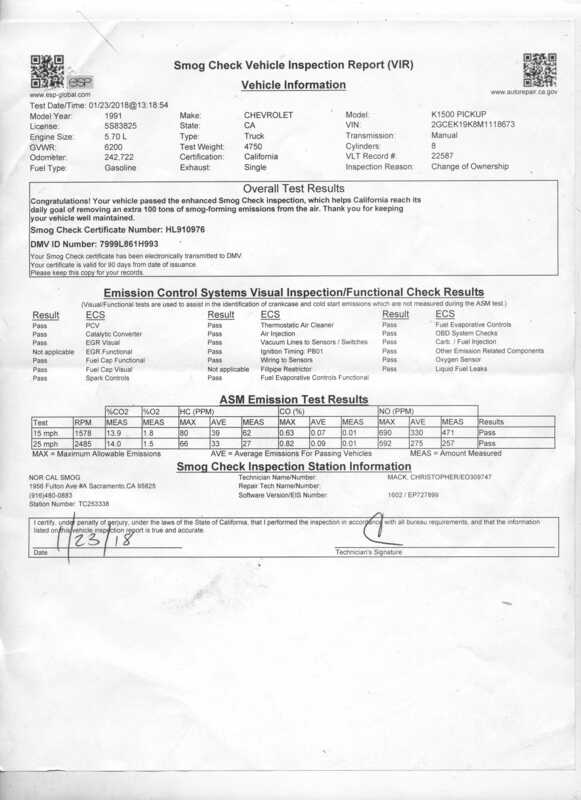 I live in California and my 1993 Honda Accord with 280,360 miles on it passed a ASM emissions test Which is not unusual for a well maintained car. And the emissions tests here in Cali are quite stringent! Believe me... they are happy to fail your car if EVERYTHING is not in working order. But the unusual thing about my car is it passed the 25 mph test with 0 ppm emissions output for the NOX! (check out the attachment with this post) And this car has been through a flood! I have NEVER been in the engine or transaxle! I have been in the distributor a couple of times, replaced the timing belt and other odds and ends but Never in the engine. Now if this is not a DAMN GOOD CAR!!!!! I guess I don't know what i'm talking about! Sorry, not buying it. I agree a 1993 Accord is a fine car, but 0 PPM for NOX, not happening. 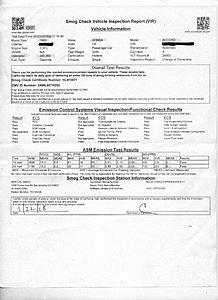 If anything, the test was done incorrectly or the equipment doing the testing was faulty. As Shipo mentioned... hes not buying it. I can understand that. BUT the California Bureau of Automotive Repair (BAR) who is control of the emissions tests is VERY **** about the test equipment used for the smog tests. ESPECIALLY the "TEST ONLY" stations. They have redundant system checks consistently at all smog check stations. I highly doubt if there was a equipment malfunction. 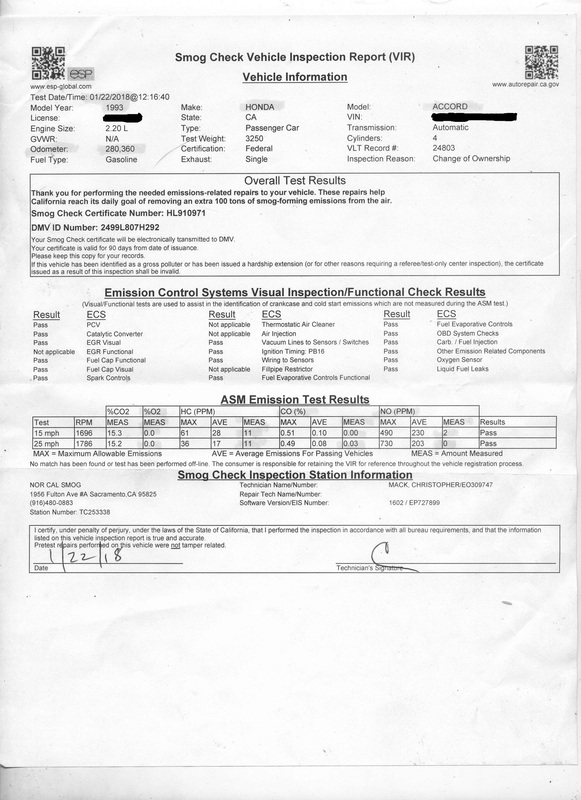 And the California Department of Motor Vehicles (DMV) gets the information back from the smog test equipment even before the Smog Tech at the test station gets it back. It is very hard to modify or fake a test. Equipment fails; fact of life. 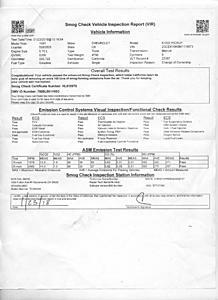 Sooner or later the testing equipment you had your car tested on will get recalibrated/repaired. So as you can see I don't think there was a equipment failure or malfunction. The chances of both vehicles were read wrong would be astronomical.